Princess Beatrice and Princess Eugenie both attended day 3 of the Royal Ascot – also known as Ascot Ladies Day — on Thursday (June 21) in England. Princess Beatrice: It’s been a while since I really loved a look from the royal, and this monochromatic look Jonathan Simkhai is no different. The New York based fashion designer is known for his cutting edge designs, but this feels a bit frumpy on Beatrice. Out of the three who stuck to a simple black and white colour palette, only Ciara nailed her look. As you can see she gave her Pop & Suki box bag its third outing of the week. 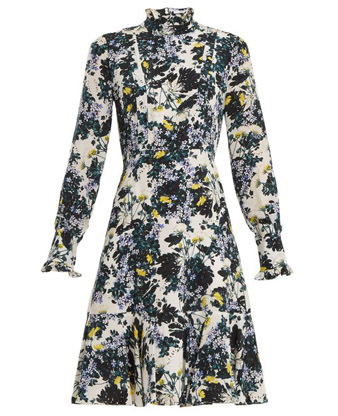 Princess Eugenie: There was something a bit deja vu about this silk floral number from Erdem. As Erdem is Eugenie’s favourite designer, I guess her style is suddenly feeling all too familiar. The look was paired with a Sally-Ann Provan hat and studded shoes.